Hi everyone! Hope you’re getting excited as Christmas nears! 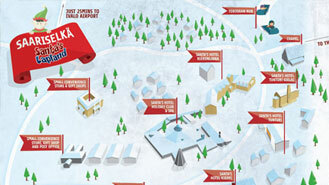 I thought it would be useful to let you know what to expect when you arrive in Saariselkä on a magical trip with us. After your short transfer from Ivalo airport, the first thing you will do is get kitted out in your thermal arctic suit, along with thermal boots, mittens and woollen socks. These will make your exploration of snowy Saariselkä much more comfortable! Once you have explored your hotel, you can get changed (don’t forget your layers, hats and buffs – see here for more on what clothes to bring) and head out to discover what the town has to offer. Don’t miss the gift shops for some unique souvenirs for you to take back, not only for others but for your family tree as well! For some afternoon fun, work up an appetite for dinner by heading to the toboggan run and race each other to the bottom! Snacks can be purchased at the supermarket or convenience store if you’re peckish, and there’s nothing better than a hot chocolate back at the hotel after being outside in the cold! There is also a small chapel near the toboggan run should you wish to visit. 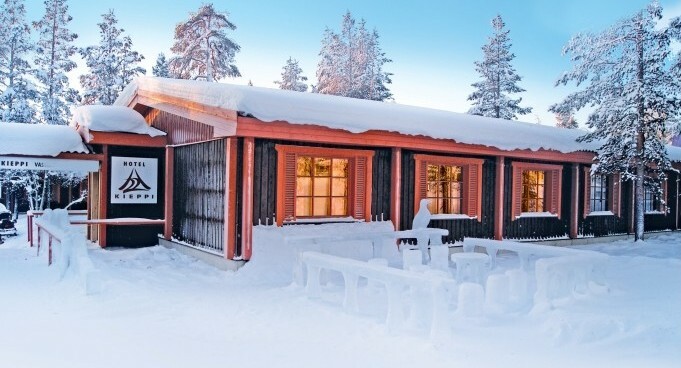 You’ll be kept busy on your magical break in Lapland with your included husky and reindeer rides, search for Santa snowmobile ride, guaranteed private meeting with Santa, our Elf & Igloo Fantasia and snow and ice activities – we can’t wait to have you join us in Saariselkä!